I made balls today too! It’s all so beautiful. You’re right – this month is flying by. My post today was about balls too! My vegan chocolate macadamia nut butter truffles. YUM! 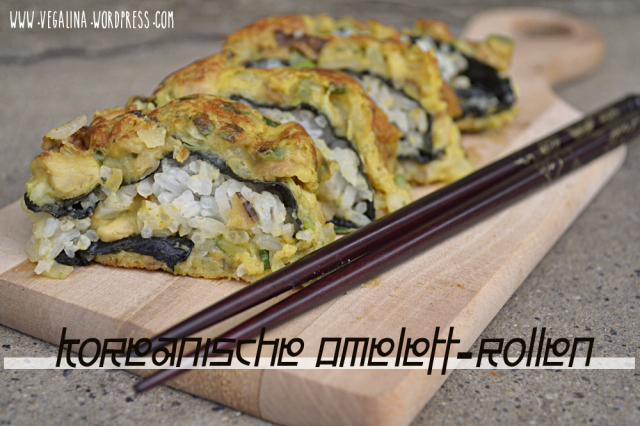 The Korean omelette rolls made me do a double take and then a triple take!!! How inventive. They look so good. My husband would love these, thank you for sharing! Thanks for the shout out! Loving the balls post. Those smurf tarts have my name all over them!